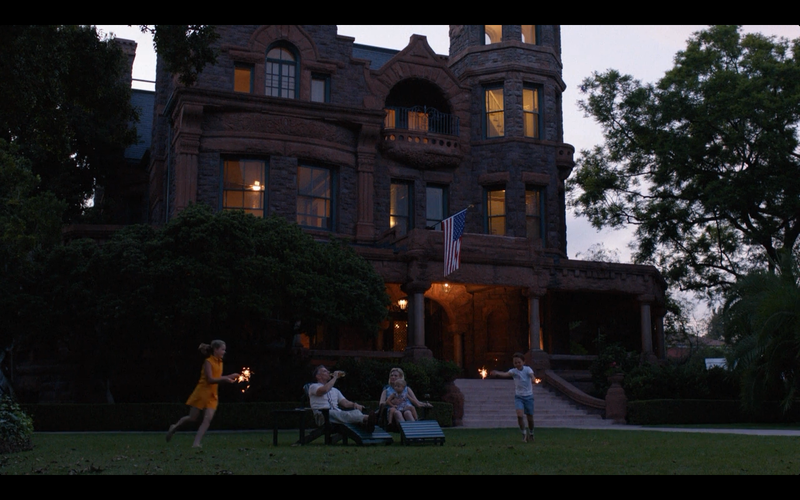 Of course it’s probably all my recent research, but revisiting Mad Men season 5 highlighted the Gothic elements of the Francis’ home for me. Thanks to this post by Melanie Linn Gutowski I was also able to see the longer trajectory of Betty’s relationship to the past and the contrast between the various Draper-Francis domiciles. The Gothic first became apparent to me in “Tea Leaves,” the third episode of the season. This is the one in which “Fat Betty” makes her debut, when Betty goes to the doctor for diet pills and leaves with a series of tests for cancer. It makes sense that the Gothic would appear in an episode featuring a story on pathology, with difference appearing spectacularly on the body and a pall of death hanging over all events. It also makes sense that the Gothic would appear so strongly in relation to Betty. After all, she represents so many of the most aspirational elements of the series. However, nothing in her life–or indeed, the series–ever turns out as hoped or planned. As the famous Leslie Fiedler quote suggests, the Gothic puts a pin in the American Dream by revealing the “darkness and the grotesque in a land of light and affirmation” (Love and Death in the American Novel, 29). This theme is especially evident in this episode, not only in the anxieties about size and mortality, but also in the inability to escape anxieties, even in the face of their relief. For example, the shot above occurs after Betty gets the call from her doctor that her lump is benign. Henry’s happy, but Betty won’t see the silver lining. BETTY: Yeah no, it’s good, it’s good. It’s nice to be put through the wringer and find out, I’m just fat. HENRY: Betty, come on. You’re exhausted. BETTY: That’s what it is, isn’t it? HENRY: I don’t know how many ways to tell you. But I don’t see it. BETTY: I know. (Pause.) Your mother’s obese. HENRY: Hey! Listen to me! I feel like I’ve been given a gift! Like Scrooge seeing his tombstone. “Oh my God, this is what it could be!” But it’s not gonna be. Without cancer, Betty can only see fat, even in the face of her loving husband and overall health. It reminds me of recent studies that show a set-point for happiness, so that despite the elation people feel at certain high points–like falling in love or getting a raise–over time they tend to go back to the same lower level of happiness they experienced prior to those moments. SCDP can’t even buy the pleasure they’re selling. But maybe that’s part of the problem. The sadness can’t be solved. The solution to sadness isn’t necessarily replacing it with happiness, or whatever we think serves as a substitute for it. Instead, it might just be recognizing and living with it. And the difficulty of doing just that creates some of our greatest dramas, on screens and in life.